Voila! and definitely ooh la la! 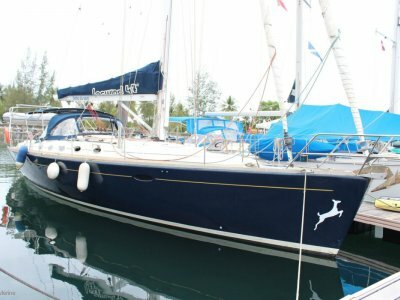 This is a beautifully designed, built and appointed alloy world-cruising capable cruising yacht. 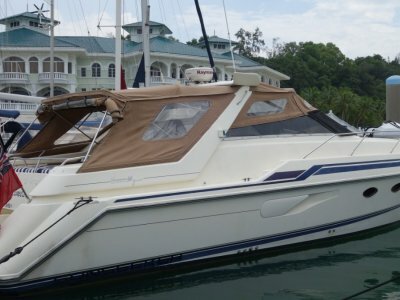 The Centre-board allows you to anchor in close or even pull up onto the beach for quick wetted surfaces maintenance. 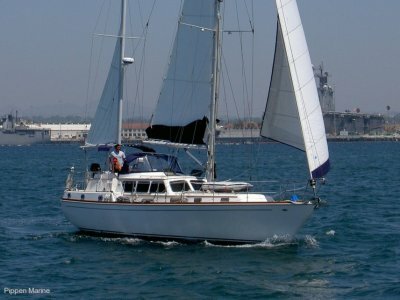 She is very well equipped and has great deck layout for easy sailing and handling, short-handed, and had an open and bright spacious interior layout design and finish. 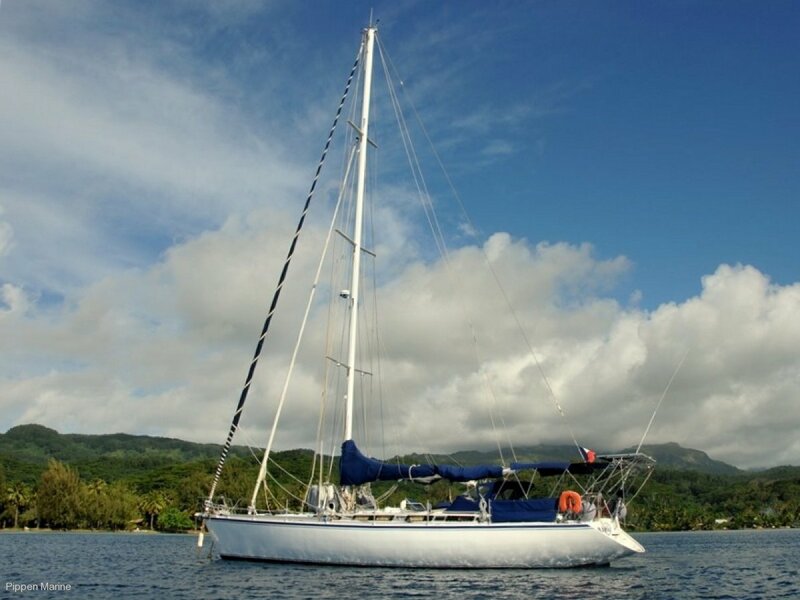 Double forward cabin and two double aft cabins makes for further live-aboard cruising comfort. 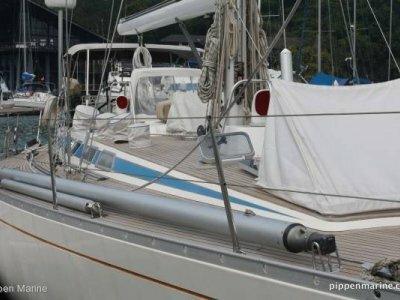 Contact Pippen Marine for further details and arrangements to inspect this fantastic cruising alloy cutter rigged Via 52 sloop.